Austrian poet Ernst Jandl (1925-2000) was a key figure of German sound poetry, famous for his play with the language and hilarious public lectures where his version of the Viennese accent added to an inexhaustible aural creativity. Recorded in the BBC Radiophonic Workshop in July 1966, this cassette documents a performance conceived for writer/producer George MacBeth‘s poetry programme, as part of the BBC’s Third Programme series devoted to contemporary poets. Also including Bob Cobbing, for instance, MacBeth’s show was the first to present sound poetry and concrete poetry on the Beeb. The extraordinary plasticity of Jandl’s voice is enhanced by re-recording, tape speed change, sound effects and montage, courtesy of the Workshop’s technicians, to create lively evocations based on Jandl’s own book “Laut und Luise”, published that same year (1966). While one clearly hears echoes of Kurt Schwitters’ Ursonate and the Dada soirées at Cabaret Voltaire, the resulting aural vignettes are also close to musique concrète and hörspiel. The collaboration between Jandl and the BBC’s sound technicians yielded wonderful results, with some tracks verging on plain choral music and others closer to obscure shamanist songs. 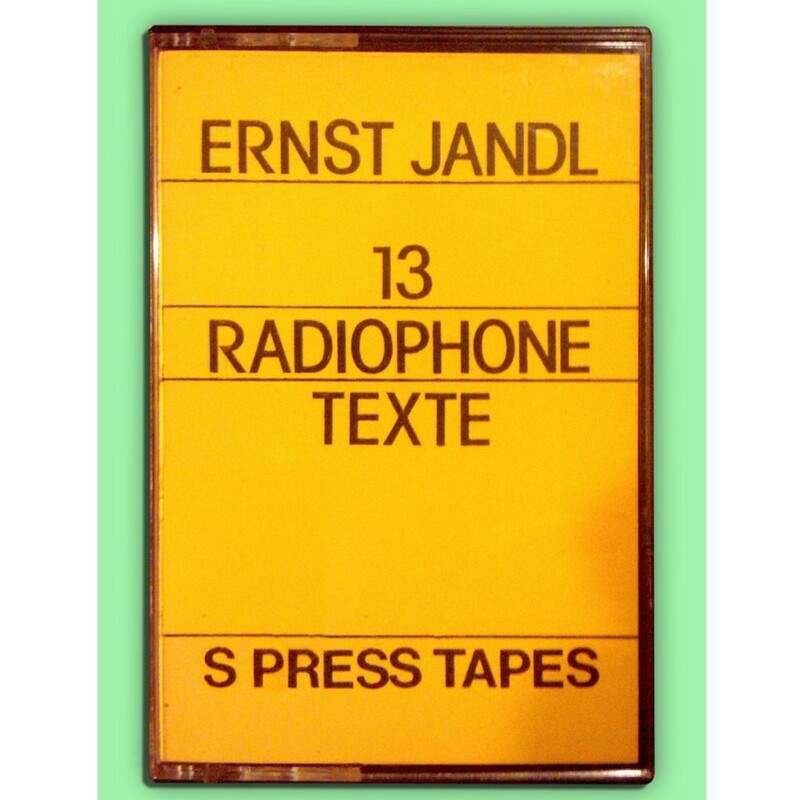 13 Radiophone Texte was issued on cassette in 1977 by S Press Tonbandverlag, or S Press Tapes, a German publisher of avantgarde music and poetry reading, especially by Beat poets like Ferlinghetti, Giorno, Ginsberg or Kerouac. 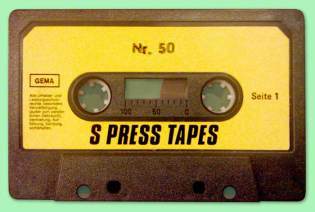 It was founded in 1970 by Angela & Michael Köhler with Nikolaus Einhorn, and released cassettes and LPs.